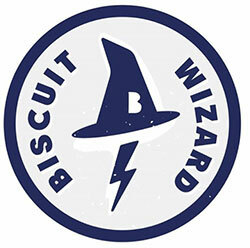 The Biscuit Wizard, owned by restaurateurs Kate and Jeremy Hansen, is open downtown at 19 West Main in the Saranac Commons, serving a wide variety of gourmet biscuit sandwiches and other dishes. Also on the menu are soups and salads. Specialty breakfast items, croissant sandwiches, eggs, bacon will be served from 7 to 11am daily. Croissants and biscuits are provided by Common Crumb Artisan Bakery located in Saranac Commons, and sausage will come from Sante Restauarant and Charcuterie at Main and Washington in the Aunties Building, restaurants owned by the Hansens. Hours are 7am to 8pm weekdays and 9 or 10pm on weekends. Evergreen Fountains Senior Living Community, owned by the Arger family, has announced that Phase II expansion construction is underway on a 61,700-square-foot, three-story residential senior living building featuring 39 units and 12 cottages. The new building will be state-of-the-art, with large modern floor plans for Independent and Assisted Living. Evergreen Fountains originally opened in 2008. The new building and campus will feature an outdoor recreational park, walking trails, raised gardens, juice bar, sports and game room, garages and wellness amenities. 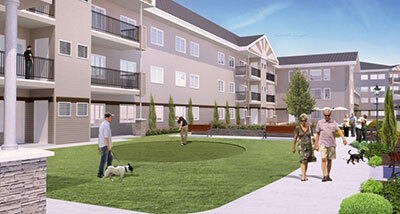 The new expansion project is in addition to the current 106-unit facility and amenities. The Phase II building will be attached to the existing building with an enclosed skywalk. TW Clark Construction is the general contractor and Sam Nystrom, Architect, designed the building. A ground breaking ceremony will take place Thursday, August 17 at 10am. Completion is scheduled for June of next year. Community Cancer Fund is undertaking its most ambitious project to date; a hospitality center serving patients at Kootenai Health. It will provide a total of 20 overnight accommodations that are low cost for adults and free for pediatric patients and their families. The hospitality center will provide a home-like setting, with kitchen and laundry facilities and recreational spaces. It will be located on a currently empty lot on the northwest corner of the Kootenai Health campus. World Financial Group, a financial services company offering a broad array of financial products and services, is holding a grand opening of its Spokane office at 6pm this Friday, August 4 at 1212 North Washington Suite 306. Call 509-327-0165 for more details. Special Olympics Washington is gearing up for the 15th annual Breakfast With Champions fundraiser in Spokane, coming Thursday, September 21 to the Davenport Grand Hotel, beginning at 7:30am. This fall fundraiser brings over 450 community leaders, corporate executives, Special Olympics families and supporters together to share in and celebrate the Special Olympics movement. This event will benefit the 1,420 athletes in Spokane County. To register or for more information, visit specialolympicswashington.org. Four national and state organizations have recently honored Spokane Transit employees for their contributions to their industry, organization and community. Brandon Rapez-Betty, Customer & Community Relations Manager at STA, received Mass Transit's 40 under 40. This award celebrates individuals who have shown a capacity for innovation, demonstrated leadership and a commitment to making an impact in transit. Brandon also won the 2017 Spokane Journal of Business Rising Star, honoring up-and-coming Spokane-area business leaders. He has been instrumental in the passage of Proposition 1 in November 2016 to fund STA Moving Forward, a 10-year plan to maintain, improve and expand transit service throughout the Spokane Region. He also led the public outreach program surrounding STA's fare increase and led the communication strategy for the 18-month renovation of the STA Plaza. Emily Arneson, Community Ombudsman and Accessibility Officer at STA, received the Outstanding Young Lawyer Award from the Washington State Bar Association for her significant contributions to the professional community, especially the community of young lawyers, within her initial years of practice. She serves on the boards of the United Way Emerging Leaders Society and the Junior League of Spokane. Kathleen Weinand, Principal Transit Planner at STA, selected for the American Public Transit Association's Emerging Leaders Program which honors talented and motivated early career transit professionals and those who have recently changed careers to public transportation. She recently coordinated the multi-partner planning process that resulted in a fully funded transit station to be designed and constructed at Spokane Falls Community College. Kathleen is recently in a new position at STA where she is leading the planning team that develops new bus service. For more information about STA, visit www.spokanetransit.com. The 2017 West Plains Chamber of Commerce Business to Business Expo is coming October 19 to Northern Quest Resort and Casino. This networking event will allow you to connect with other Chamber Members, acquire new leads and develop new business. Expo will run from 3-7pm. Booth space is available to promote your business, set up time is from noon-3pm. For more information, including sponsorship opportunities, visit westplainschamber.org or call 509-747-8480. Better Business Bureau Serving the Northwest is honoring businesses with a commitment to trust and integrity with the 2017 Business of the Year Torch Awards. This program was created to honor companies, charities and employees who demonstrate a high level of personal character, integrity and ensure that the organization's practices meet the highest standards of ethics. Categories include: Business of the Year, Charity of the Year, Exceptional Employee Award. Entries are evaluated by independent, voluntary panels of judges comprised of business and community leaders. To nominate a business, individual or charity, visit www.bbb.org/northwest/programs-services/2017-torch-awards. Self-nominations are accepted. Deadline for nominations is August 14. The Global Leadership Summit is designed for business and community leaders, board members, pastors, teachers, civil servants, politicians, and anyone who has the opportunity of influence and the desire to positively impact their world. This event will offer insights, developmental tools and inspiring perspectives from leaders all over the world who are committed to making lasting, positive change. The summit will take place August 10-11 at Life Center Church, 1202 N Government Way. The summit will be broadcast live via satellite from the Willow Creek Community Church, Chicago to more than 300+ satellite sites across North America. Among this year's speakers will be: Bill Hybels, Founder & Sr. Pastor, Willow Creek; Sheryl Sandberg, COO Facebook; Bryan Stevenson, Founder & Ex Dir. Equal Justice Initiative; Laszlo Bock, Senior Advisor at Google; Juliet Funt, CEO Whitespace at Work, Gary Haugen, Founder & CEO International Justice Mission, and many more. Register at www.willowcreek.com/summit. Special Pricing Available for Military, Students, Faculty and Groups of 25+. 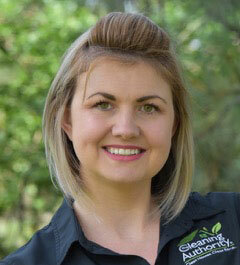 The Spokane Cleaning Authority has recently promoted Shannon Oakley to Director of Operations. Shannon joined the residential cleaning company in September 2016. Locally owned by Mark and Susan Silver since 2003, the Spokane office is one of 200 throughout the US and Canada. "You are but the product of your thoughts. What you think, you become."